The lack of clean drinking water is a worldwide crisis. According to the World Health Organization, 844 million people lack even a basic drinking-water service and Globally, at least 2 billion people use a drinking water source contaminated with feces. It is a horrific problem, but there’s a group in Athens doing something about it. Hope Springs Water gives 100 percent of its profits for clean water, improved sanitation and public health and hygiene education. 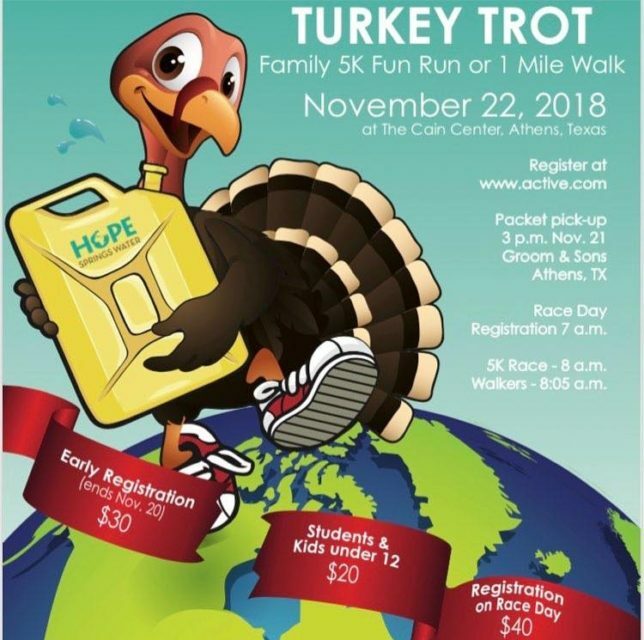 On today’s podcast, I talk with Jessica Richardson of Hope Springs about their mission and the big Turkey Trot event scheduled for Thursday, Nov. 22.